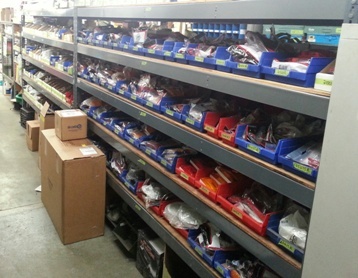 We stock a variety of vehicle body parts, truck body and trailer parts, lift gate parts, and mechanical parts. For those parts we do not have on hand, we will be able to special order any parts you are in need of. For further assistance, please contact either our Collision Parts Manager, Ted Walters at 401-467-0900, or our Mechanical Parts Manager, Todd Robillard at 401-421-3232.